When you share a process with other users, the recipients are granted View access to the process. If you share the process with a user or group that does not have privileges to the process, they cannot modify it. 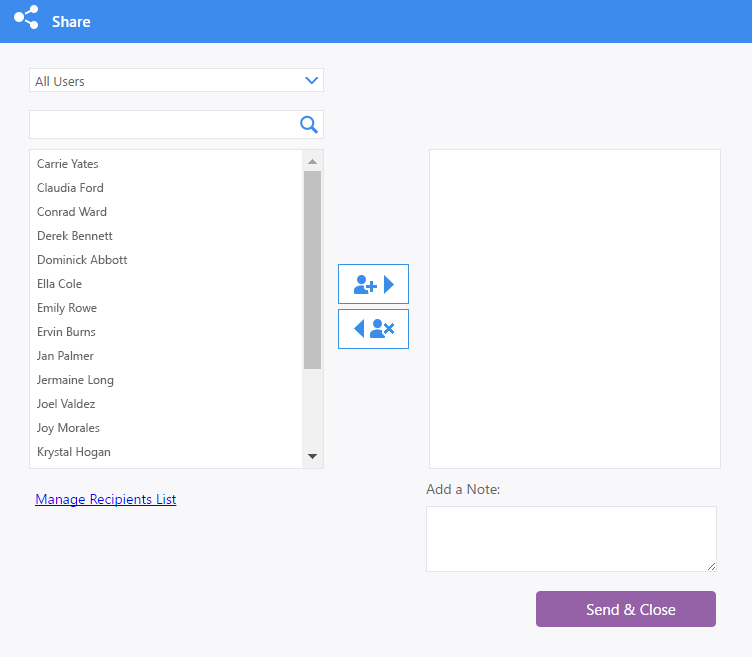 You can share to specific users, departments, or organization roles.